You’ve just stumbled upon Old Town Cornelius’ live music mecca! Six nights a week you can find an all-star cast of local musicians and bands playing everything from rock and roll, funk, soul, pop, you name it! Tuesdays, when the area’s finest instrumentalists aren’t raising the roof, you can experience one of the best trivias in the region hosted by local legend Sean Lewis of Thinkin’ & Drinkin’. Gather your A-team and get in on the action as he leads a packed house through three rousing rounds of general knowledge trivia, with prizes sponsored by local breweries! Scroll within the window above to see more events. 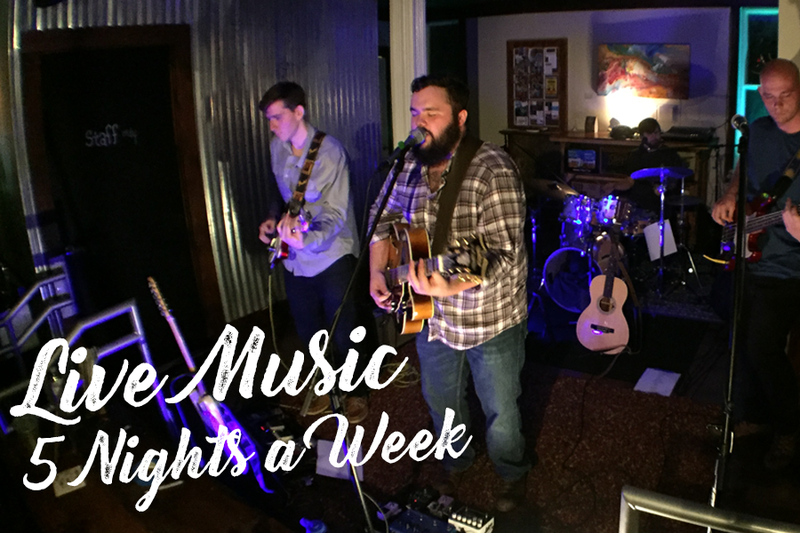 Join us every Wednesday-Sunday (and sometimes even Monday, because we’re just livin’ our best lives) for the best of the best local live music. We feature everything from solo acts that will soothe your soul, to groovy full sets that will have you on your feet, and even some touring bands. 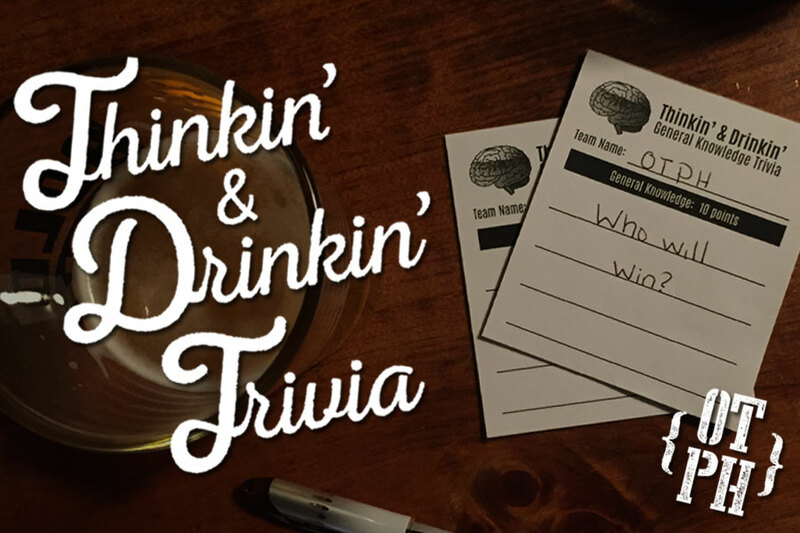 Put your general knowledge skills to the test with Thinkin’ & Drinkin’ Trivia Tuesday night here at OTPH! Gather your A-team and see if you have what it takes to be crowned the Trivia Champs of Old Town! 2. Show up every Tuesday and put your general knowledge skills to the test. Games will be held at 7:30, 8:15, and 9 pm. 3. Winning groups each week will win prizes, along with bragging rights!